Huge thank you from us to everyone for your contributions this year. Huge thank you from us to everyone for your contributions this year. The school fair raised a fantastic £3190. At our last meeting we agreed to invest £1000 in IT equipment for the school and to give every year group £100 to spend on new resources they feel they need. We also backed a request for £1000 to provide high quality, durable building blocks for the nursery and £250 for the John Muir court yard garden. Our annual general meeting will take place on Monday August 27. All parents and carers are welcome. Look forward to seeing you there (if not before in the aisles of Asda). Delighted to reveal that this year’s school summer fair raised £3190 for the school. 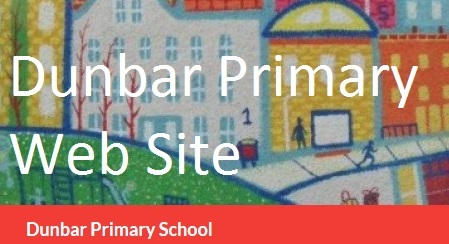 That is clear profit, not takings, and a lovely sum to be able to invest in Dunbar Primary. Please come to the parent council meeting next Monday (John Muir campus library, 7pm) and share your thoughts on where you might like to see money spent. We will also talk about ideas for next year. What would you like to see discussed at our meetings? What would you like us to organise? Any feedback on this year’s fundraising? The next parent council meeting is Monday June 18, 7pm, John Muir library. All parents welcome. This is a nice end of year meeting, so well worth coming along if you can make it. Please click on agenda below.